Wolfen is a town in Sachsen-Anhalt, now a part of Bitterfeld. It is famous for chemistry industry (Agfa, ORWO), also for the production of films. The cinema was built by Hugo Seitz. It was the most modern cinema in Germany when it opened in 1956. The postcard was made in 1966, the cinema advertised the movie "Boccaccio '70" (Italy, 1962), the movie came to Wolfen in summer 1965. Now it is closed. 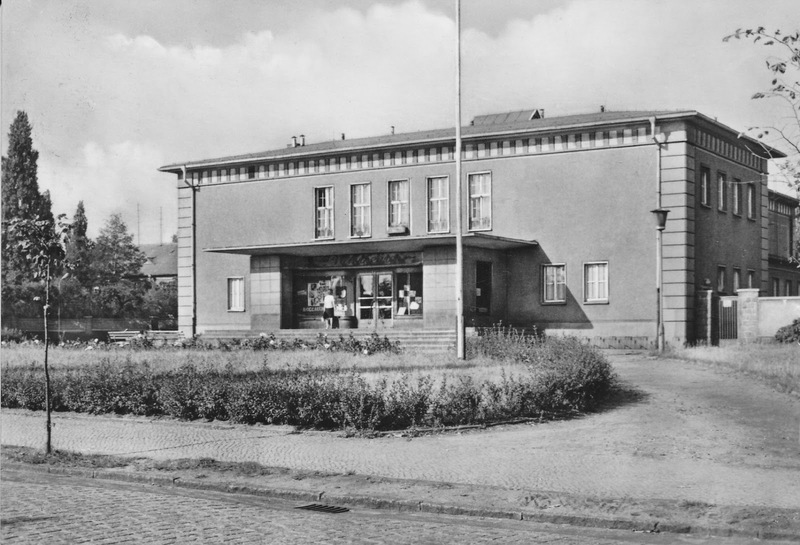 Just found a little history about the cinemas in Wolfen, published by the municipal archive Bitterfeld-Wolfen, look here.